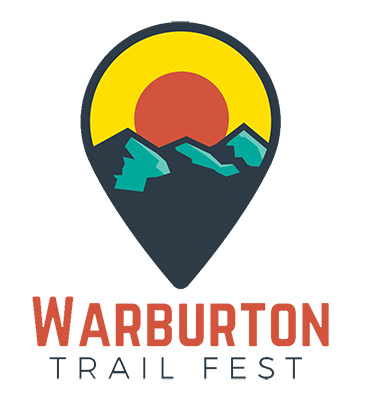 We are excited to announce a new 'Body Positive 4.5k Stomp’ a Walk, skip, shuffle, jog, prance, strut or stompthat will be a new and important component of the upcoming Salomon Warburton Trail Fest taking place in the Warburton Valley, an hour and a half east of Melbourne, on 9, 10, 11 March 2019.. The Body Positive Stomp will be put on in partnership with Escaping Your Comfort Zone, a body positive women’s adventure organisation, with no focus on weightloss or fitness, who encourage women to have adventures in the body they are in. The Escaping Your Comfort Zone Body Positive Stomp will be held on Saturday 9th March, at 9.45am. Open to everyone (not just women), the Stomp will be supported by volunteer trail angels, creating a party at the back so no one comes last, and will specifically be non-timed/non-competitive. 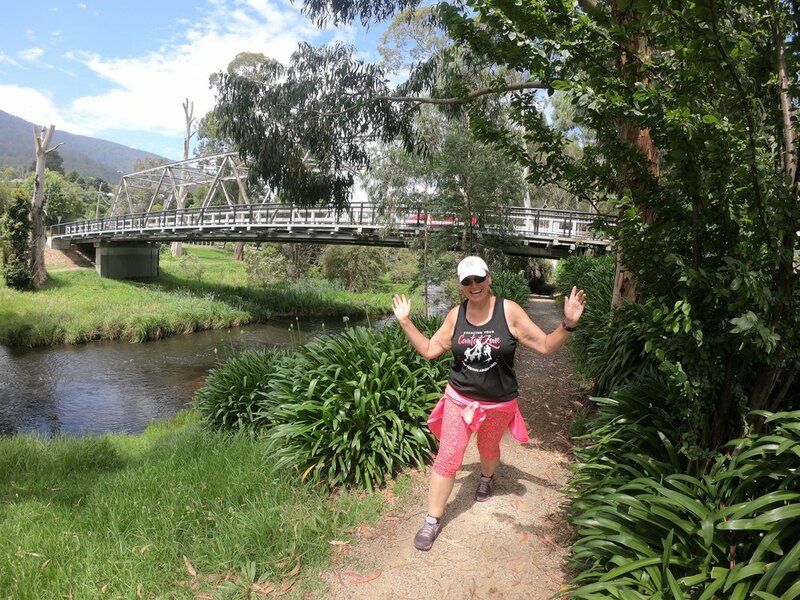 But all participants willing to get out and have a go on the 4.5km riverside path, leaving and returning to the Warburton Recreation Oval event HQ, will still be rewarded with a medal and wear a participant bib. 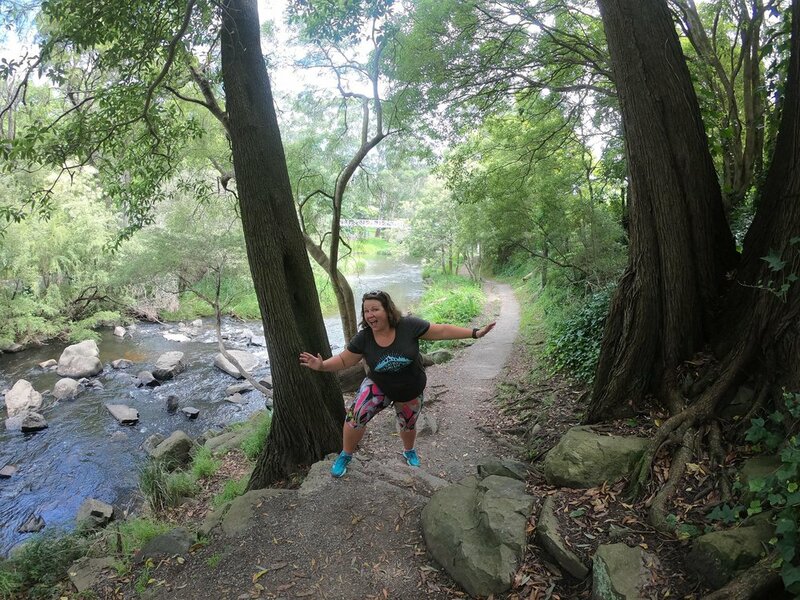 Escaping Your Comfort Zone Director and event host, Richelle Olsen (above, on the Stomp course) says the idea in launching the Body Positive Stomp is to encourage everyone out on to the trails regardless of fitness level, body shape, or level of experience. “We wanted to create an environment that can be a comfortable space for people who feel they may not fit in with potentially intimidating outdoor activity groups or events, and create that space within the context of the entire trail community, rather than being separate from it. YOU CAN ENTER THE ESCAPING YOUR COMFORT ZONE 4.5KM BODY POSITIVE STOMP HERE OR HIT THE BUTTON BELOW!